The RT115 heavy-duty ride-on trencher sports a turbocharged, 115-hp John Deere engine and a dependable hydrostatic transmission to keep it running strong all day long. 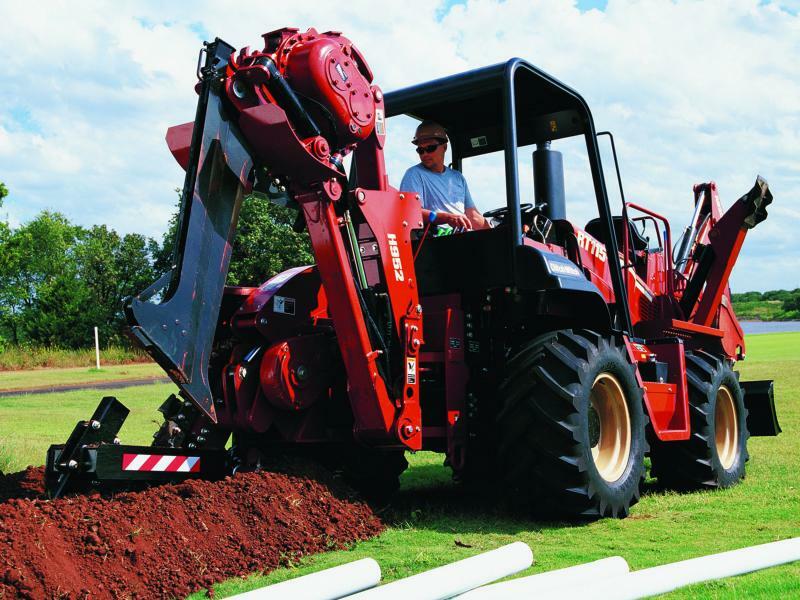 The four-wheel-drive RT115’s rubber tires and optional four-wheel steering make this the ideal trenching equipment for both paved and off-road work. 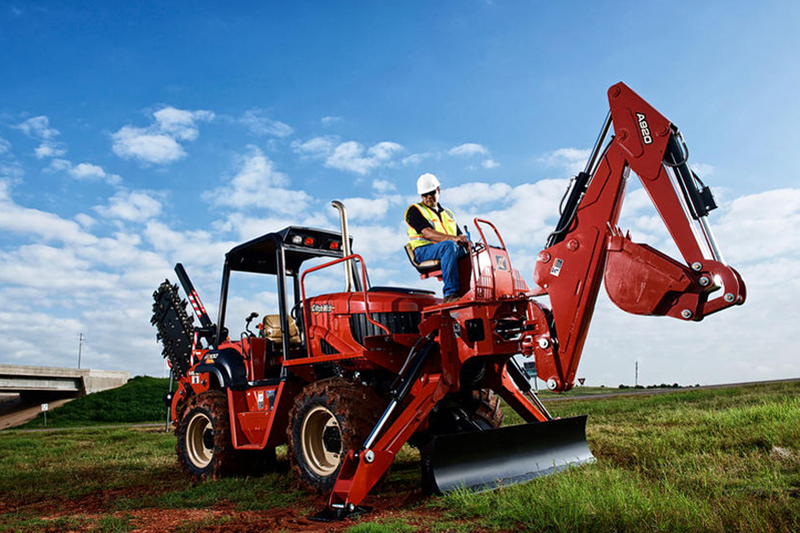 Massive one-piece rigid frame design increases capacity and endurance; optional tilt frame configuration helps you dig a vertical trench on uneven ground. 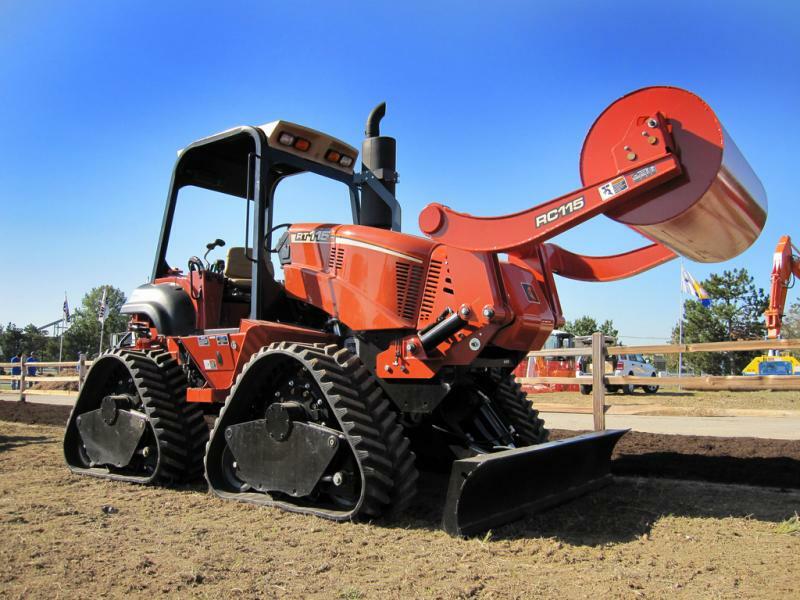 Large selection of hydrostatic attachments—as well as a choice of two front-mount utility backhoes and a reel carrier—increases jobsite productivity. Four-post Rollover Protective System (ROPS) includes a canopy; options include enclosed cab and climate control system. 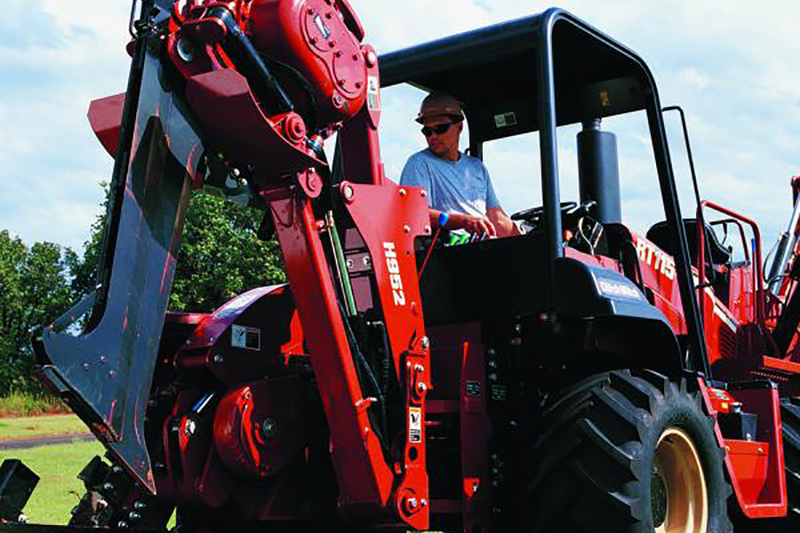 Removable side panels on the RT115 trencher provide easy access to service areas; engine service points are conveniently located on the left side, and the oil level can be checked without opening the engine enclosure. Ergonomically designed operator station features 90° swivel seat, adjustable armrests, easy-to-read gauge cluster, tiltable steering column, and optional cruise control system.